While pool swimming has been held since the inaugural Olympic Games in 1900, the first staging of open water at the Olympics was much more recently, at Beijing 2008. Open water swimming – or ‘marathon swimming’ as it is known competitively – is seen as a slightly separate discipline in the Olympics to the rest of the aquatics because it’s not in the swimming pool. It is held at a completely different venue with different officials and experts looking after the event. However, this means that Olympic organisers have held the open water swimming at iconic venues. 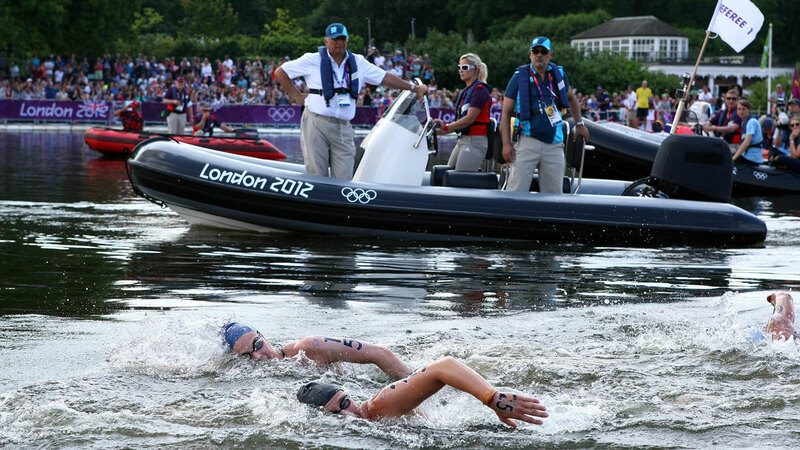 The London 2012 open water was contested in the Serpentine Lake in Hyde Park, while the Rio 2016 marathon swims were off the coast of the Copacabana beach. While events are contested over 5km, 10km and 25km at international level, the Olympic open water distance is always 10km for both men and women. The field can often get strung out but it’s known as a very tactical race. Some swimmers try to win from the front, while others will hang back, then sprint towards the end of the race. How long does the Olympic open water swimming take? The length of a 10km swim can vary based on venue, water conditions and weather conditions. The fastest winning men’s time was Tunisia’s Oussama Mellouli from London 2012. He won in 1:49:55.1. The fastest winning time in the women’s race was at Rio 2016, when the Netherlands’ Sharon Van Rouwendaal took gold in 1:56:32.1. Only two English swimmers have won open water swimming medals at the Olympic Games – Keri-anne Payne and Cassandra Patten at Beijing 2018. Payne went on to compete in the marathon swimming at both of the next two Olympics. She finished fourth in London and seventh in Rio.